It’s happened to all of us – we have a song Practice Piano Scores The Fun Way With Synthesia And Your Keyboard Practice Piano Scores The Fun Way With Synthesia And Your Keyboard Computer-aided learning, although not always a substitute for a music teacher, gives you the feedback you wouldn't get from a plain old piano book. Moreover, gamification can make practice easier, and a lot more fun... Read More stuck in our head, but we just remember the lyrics! I’m sure that all of you know that horrible type of frustration. However, there just doesn’t seem to be a cure….just kidding, of course there is. In an effort to help those of you struggling to remember the lyrics of songs, there are quite a few websites out there that will help you out. 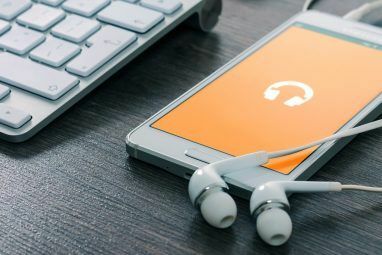 Below we have five of those sites that are devoted to your music-related A Musical Climax: 10 Free Albums And EPs To Download [Sound Sunday] A Musical Climax: 10 Free Albums And EPs To Download [Sound Sunday] Read More woes. Granted, there are tons of them out there, but personally speaking, I believe these are the best. 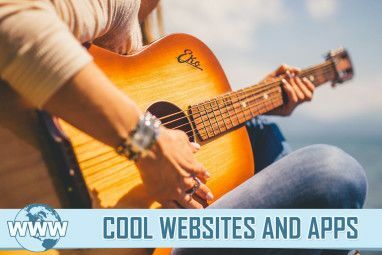 So whether you are in a radio-karaoke bind or an office music discussion, these sites are sure to help. The website eLyrics is a great site for those of you trying to find song lyrics that are fresh and relevant in today’s music world. 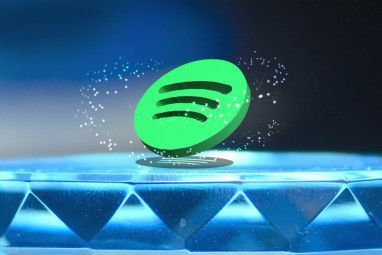 On the homepage you’ll find quickly accessible to links to all of the latest songs by the top-rated artists as well as a selection of the top 25 songs on the site. As a note, all content on this site is user-submitted, and this can be both a blessing and a curse when it comes to potential errors. Granted, there is a section for each set of lyrics in which users can submit corrections and even translations (consider “Gangnam Style” Annoy Everybody With Infinite Gangnam Style Annoy Everybody With Infinite Gangnam Style I'm thankful that not everybody in the world likes the same things. It's a fortunate fact of life that each of us as individuals has different interests and hobbies, and also gravitates towards certain genres,... Read More ). MetroLyrics is another basic lyric site, but it does have a few other features to offer. Besides a clean, less-gaudy layout (unlike most of these types of sites), you’ll find that the homepage is designed to stay up to date on music news Enjoy Great Music Selections With Slacker Radio [Website & Mobile] Enjoy Great Music Selections With Slacker Radio [Website & Mobile] Anyone who even remotely enjoys music - and I believe that's most of us - will absolutely love it when they discover new music that they like. We have a number of highly popular music... Read More and information. On the site there are brief articles about artists and new music videos (primarily in the pop realm), but the focus is still on the lyrics. Despite these extras, you’ll still find a wide selection of lyrics on this website to choose from. A-Z Lyrics has a less-than-stellar design, but it’s definitely the content that matters. The site offers lyrics much like any of the other sites you see here, but it also has a prominent feature which allows users to request lyrics if they aren’t already available. It would likely be a rare event for this to happen, but the site claims to have a 90% successful rate (granted, I’m not sure which scientific steps were taken to prove this). Besides that, there are areas for watching music videos and checking out the latest artist Killing the Man: Making A Living As an Artist Online [Feature] Killing the Man: Making A Living As an Artist Online [Feature] Can you really "kill the man" and make a living on the Internet as a creative professional? I spoke to a quartet of creatives recently, each proudly working for themselves in different ways. Read on... Read More singles. Unlike the other sites found here, SongMeanings is a sited devoted to understanding the foundations of our favorite catchy tunes. Unfortunately, the site doesn’t showcase the actual meanings as stated by the songwriters, but it does utilize a commenting-like system for users to debate the possibilities. That said, I can’t vouch for the meanings behind every song, but I can say that most users have fairly solid points. In addition to that, you’ll see proper lyrics for each and every song. As a note, you will find many songs without the discussions behind meanings. Although unfortunate, the site does still serve its purpose for finding lyrics. Have you ever known only part of a song, but you couldn’t remember the the rest of the lyrics or the title? FindMeATune will help you with just that! Simply search for a few lyrics, and the website will help you with the rest of your needs. After searching, you’ll be presented with several possible matches (with hopefully one being right). Additionally, you’ll be able to pick through a selection of Amazon MP3s by the most likely artist if you want to buy the song. What other websites do you use for finding song lyrics? Have these websites helped you at all? This: You hum part of the song but simply don't know the title or even the next note. It nags on you all day long. There are several sites like TrackID that I used to use, but I've already forgotten the names. great websites i now will know all my favorite songs. thanks!! that happens so often!! Never again, my friend. Never again.